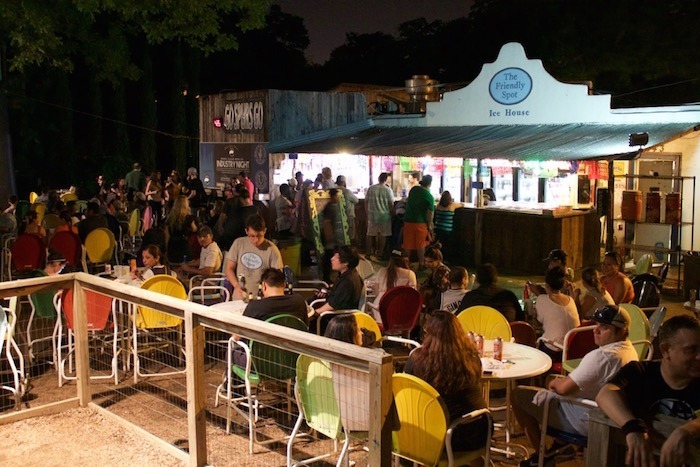 The Friendly Spot is at 130 S. Alamo at the intersection with Cedar, at the edge of the King William Historic District in what we call Southtown. They bill themselves as an ice house, which is a peculiar Texas institution — a convenience store that also sells beer. The dining (burgers & tacos) and beer is outside. Lots of beer. Craft beer, exotic beer It’s a community gathering place. Dogs and kids are welcome. Sometime they have music abnd once a week folks gather for “Pub Theology.” It’s fun — and did we mention there is beer? More than 75 craft beers are available. Stella Public House (1414 S. Alamo) is a gastropub and pizza place in the Blue Star Arts Complex. The pizza is baked in a 900-degree wood-fired oven and made from farm-to-table ingredients. They generall have 20 craft beers on tap and another 20 or so in bottles and cans. The Beethoven Club Room is run by the Beethoven Maennerchor and is THE place to go for German bier. Rumor has it that they are the largest seller of Paulaner outside Germany, but they also carry Bitberger, Warsteiner, Krombacher, Stella, and more. It’s open to the public. Charlie Wants a Burger is on the Riverwalk (223 Losoya) and has a fantastic selection of craft beer and cider. They are open for breakfast, lunch and dinner starting at 7:30AM every day. It’s a sports bar wityh 11 giant screens — all you needs are met! 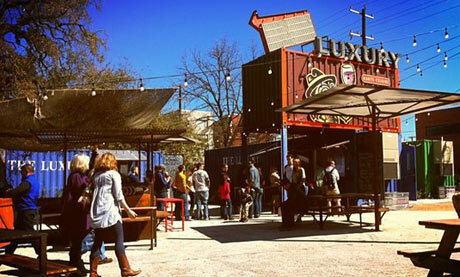 La Tuna, named after the fruit of the prickly pear cactus, is an old-school icehouse near Southtown (100 Probant.) The large yard shaded by trees is paved with bottle caps that crunch under your feet and there’s music on weekends.Open Monday-Wednesday4 PM – 12 AM and Thursdays through Saturdays 2 PM – midnight. The grill (which is under separate ownership) has great food. Go for the local ambience. For something a little more elegant, try the Esquire Tavern, the oldest bar on the San Antonio Riverwalk (155 E. Commerce.) It opened the day that Prohibition was repealed in 1933. 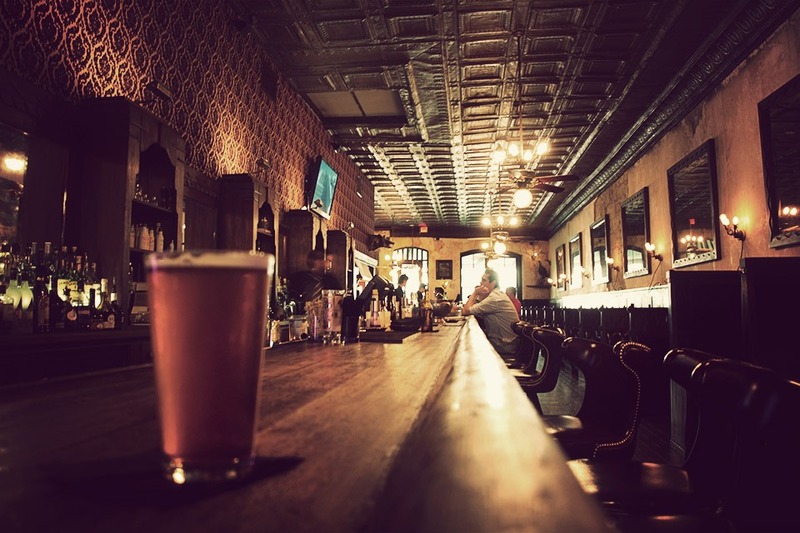 They also boast about boasts the longest wooden bar top in Texas – over 100 feet of beer-soaked wood. They have 20 Texas beers on tap and more available in bottles and cans. It was just announced last week that The Esquire Tavern is a semi-finalist for the prestigious James Beard award for best bar program. Check it out! If you’re looking for something different, ask for a michelada, also known as a “Mexican Bloody Mary,” an ice-cold beer mixed with lime juice, salt, chilis and perhaps a hint of tomato juice. They are polular in San Antonio!